December 21, 2012  The Republicans' blowup leaves the path to avoiding automatic tax hikes and spending cuts in the new year unclear. Leaders seem to agree that a bipartisan solution is the only way — but, as House Speaker John Boehner said, "How we get there, God only knows." 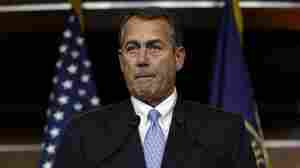 December 21, 2012  House Speaker John Boehner was dealt a major defeat Thursday night. After spending most of the week trying to round up votes for his "Plan B" to extend tax cuts for virtually everyone, he pulled the measure without a vote. 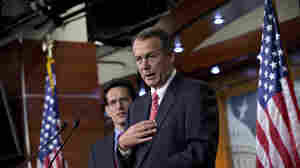 The clock keeps ticking toward the end of the year, when automatic tax increases and spending cuts are set to hit. December 20, 2012  A number of conservative groups are vowing consequences for Republicans who line up behind House Speaker John Boehner and his plan to avoid the "fiscal cliff." 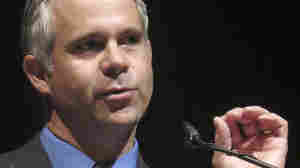 Fiscal conservatives say that how GOP members vote now could set the stage for the 2014 primary season. December 19, 2012  The effort to avoid the automatic spending cuts and tax hikes of the "fiscal cliff" is taking a detour in the House of Representatives. 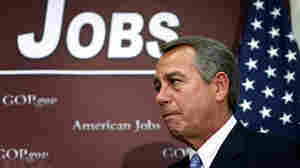 Negotiations are still underway, but House Speaker John Boehner is also pushing ahead with what he calls "Plan B." December 18, 2012  Negotiations continued between the White House and House Speaker John Boehner on Tuesday to avoid the fiscal cliff. Earlier in the day, Boehner prepared his fellow House Republicans for the likelihood that taxes will have to rise on top earners. He's also now talking about a "plan B" if talks fail to come to a deal. Tamara Keith joins Melissa Block from Capitol Hill. December 17, 2012  President Obama met with House Speaker John Boehner again Monday to resolve the fiscal cliff deadline. As the nation's attention turned to the school shooting in Connecticut, there seemed to be some movement toward a deal. Robert Siegel talks to Tamara Keith. December 14, 2012  As the negotiations drag on, the lack of progress means the key players have necessarily taken to repeating themselves. Sometimes, word-for-word, as they describe how they have worked for a solution while their opponents have stonewalled. December 13, 2012  Of the 535 members of Congress, not many are in the loop about negotiations to avoid automatic spending cuts and tax increases in the new year. Lawmakers are waiting to see what President Obama and House Speaker John Boehner come up with — and some are nervous about having to quickly vote on a bill despite misgivings. December 11, 2012  House Speaker John Boehner said on Tuesday that he's waiting for President Obama to provide specific spending cuts as part of a deficit-reduction package. Robert Siegel talks to Tamara Keith. 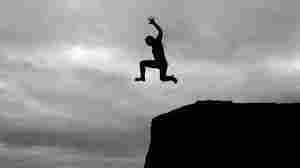 What Happens If We Fall Off The 'Fiscal Cliff'? December 11, 2012  President Obama and congressional Republicans have been trying to negotiate a deal to avert the automatic tax hikes and spending cuts known as the "fiscal cliff." But what happens Jan. 1 if no agreement is reached? Some experts say not much will happen — at least not immediately. December 10, 2012  Congress had hoped to be out of town for the holidays by the end of this week. That's not looking likely anymore, with the negotiations on efforts to avert automatic tax hikes and spending cuts moving slowly, if at all. Tamara Keith talks to Audie Cornish. December 7, 2012  We asked listeners what they wanted to know about efforts to head off the package of tax hikes and spending cuts set to go into effect Jan. 1, 2012. Today, we get answers from Scott Horsley, Tamara Keith and John Ydstie. December 6, 2012  As House Speaker John Boehner tries to work with President Obama to prevent automatic tax increases and spending cuts, he is taking heat from members of his own party. Some conservatives think he gave up too much, too soon in his opening offer. December 5, 2012  Americans are not optimistic that leaders in Washington will strike a budget deal in time to avoid automatic tax increases and spending cuts, according to a new survey. President Obama and congressional Republicans seem to be far apart with no clear path to a resolution.